R-PE Conjugation Kit ab102890 uses a simple and quick process to conjugate an antibody to R-PE. It can also be used to conjugate other proteins or peptides. Learn about buffer compatibility below; for incompatible buffers and low antibody concentrations, use our rapid antibody purification and concentration kits. Use the FAQ to learn more about the technology, or about conjugating other proteins and peptides to R-PE. The selling size of this product is now based on the amount of antibody that can be conjugated with the kit; the amount of antibody advised that can be used with the kit has also been updated to reflect what will give the best conjugation results. The quantity and formulation of reagents provided have not changed, if you have been previously using the kit successfully with a different amount of antibody, there is no need to change the way that you are using the kit. Flow cytometry using antibody conjugated using EasyLink R-Phycoerythrin conjugation kit (ab102918)This image is courtesy of an anonymous Abreview. 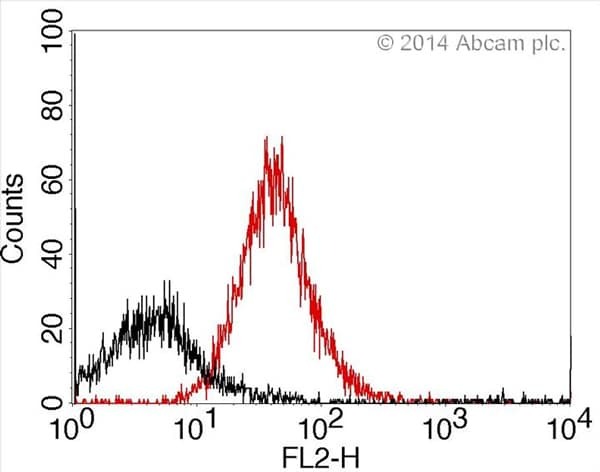 Flow cytometry histogram showing integrin beta-3 positive population of platelets from wildtype and knockout mice. Integrin beta-3 antibody was conjugated using EasyLink R-Phycoerythrin conjugation kit (ab102918). Flow cytometry was performed using platelets from wild type and integrin beta-3 knockout mice. Mice that expressed beta-3 (shown in red) had a clear shift in FL-2 fluorescence over beta-3 knockout mice (shown in black). Minimal handling, and it worked!! The kit was extremely easy to use and effective despite the very small amount of antibody labeled (60 ug)- minimal handling, and it worked!! Flow cytometry histogram showing integrin beta-3 positive population of platelets from wildtype and knockout mice. Integrin beta-3 antibody was conjugated using EasyLink R-Phycoerythrin conjugation kit (ab102919). Flow cytometry was performed using platelets from wild type and integrin beta-3 knockout mice. Mice that expressed beta-3 (shown in red) had a clear shift in FL-2 fluorescence over beta-3 knockout mice (shown in black). Hi! I was simply wondering if a small amount ( ie 0.1 M) of Tris-Glycine would be a compatible additive during conjugation? Thanks! Compounds containing amines (such as Tris) compete with the antibody or other protein for the R-Phycoerythrin. Unusually for an amine, Tris has little effect on conjugation efficiency as long as the concentration is 20mM or less. So, if 100 mM (0.1 M) is going to be the final concentration of the Tris, the conjugation may not work. Objective: I am interested in one of your R-PE conjugation kit for FACS antibodies. Previously, we ordered Integrin B1 antibody ((12G10)(ab30394)) for FACS analysis. Because your antibody is a purified one, I plan to conjugate R-PE dye to the antibodies and I found your R-PE conjugation kit (ab 102918). or I should use extra antibody purification step (such as column purification) before FACS analysis. We have the same integrin beta 1 antibody [12G10] that is FITC conjugated as ab150002, just so you know, but we do not have an R-PE conjugated version. But if you would like to conjugate the ab30394 to R-PE using our EasyLink kit ab102918, that would definitely work. Once the antibody is conjugated using the kit, it is ready to use and no further purification is necessary. I had a question regarding product #ab102918 (EasyLink R-Phycoerythrin Conjugation Kit). I intend to use this product in a process which necessitates the use of only Animal-Free Products. Is this product animal component free? I can confirm that the R-Phycoerythrin (RPE) conjugation kit is indeed free of animal components. I need to stain surface FREM2 protein on MCF7 cell line for following application in flow cytometry experiment. I found Abcam Anti-FREM2 antibody (ab75803) and EasyLink R-Phycoerythrin Conjugation Kit (3 x 100µg R-PE) (ab102918) – are these products suitable for flow cytometry? There’s 1% BSA in FREM2 antibody’s solution – will BSA interfere with R-PE labeling because of aminogroups? Thank you for contacting us. We have not tested ab75803 in Flow Cytometry and do not have any data regarding suitability in this application. You would have to purify the antibody before conjugating it to remove the BSA or the BSA may be conjugated. I would like to use EasyLink for FITC or PE conjugation of my antibodies (I would like to use them for flow) but my antibodies concentration is lower than 1 mg/ml (between 0.1 and 0.5 mg/mL). Will it works? Do you have any previous experience? The EasyLink conjugations require antibody concentrations of at least 1mg/ml. Below that, the conjugation becomes inefficient and you risk wasting the conjugate, not to mention the antibody. For antibodies of lower concentrations, we recommend bringing them up to 1mg/ml or more with a concentration columns. We have two sizes: one column or three columns. Click here (or use the following: https://www.abcam.com/index.html?datasheet=102776). Click here (or use the following: https://www.abcam.com/index.html?datasheet=102778). These are very easy to use, and ensure effective conjugations. Please let me know if you have any questions. Inquiry: I have a question, I know the product can be used to conjugate antibodies, but can it be used to conjugate proteins? Thank you. Ab102918 has been developed to conjugate antibodies, however it targets available amine groups, so it can conjugate proteins and peptides provided there is at least one aminegroup (lysine) available. For this reaction to be successful, the same restrictions do apply. The protein should be purified and in an amine free buffer (to prevent conjugation of buffer constituents), and the concentration should be at least 0.5 mg/mL. Depending on the protein size, the conjugation ratio can be very different than what is stated on the datasheet. For instance, many small peptides can conjugate to one molecule of PE, whereas we would expect an antibody to PE ratio of 1:1. I hope this information will be useful, but please let me know if you have further questions or if there is anything else that we can do for you and I'll be happy to help. Click here (or use the following: https://www.abcam.com/index.html?datasheet=52460). For collagen I, we have only one unconjugated antibody that has been tested in flow cytometry. We do, however, have a kit that enables one to easily conjugate the antibody to PE. For gp100, we have unconjugated antibodies but neither is in a formulation that is compatible with the conjugation kits for FITC. What I recommend is using the unconjugated anti-gp100, ab117853, followed by FITC-conjugated anti-mouse IgG2b, ab98702, pre-adsorbed to remove reactivity with mouse IgG1 (which is the isotype of ab52460, anti-cytokeratin). This should allow you to apply both antibodies to the same sample without cross-reaction of the secondary anti-IgG2b with mouse IgG1. Click here (or use the following: https://www.abcam.com/index.html?datasheet=117853). 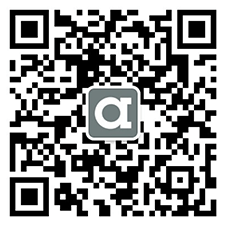 Click here (or use the following: https://www.abcam.com/index.html?datasheet=98702).